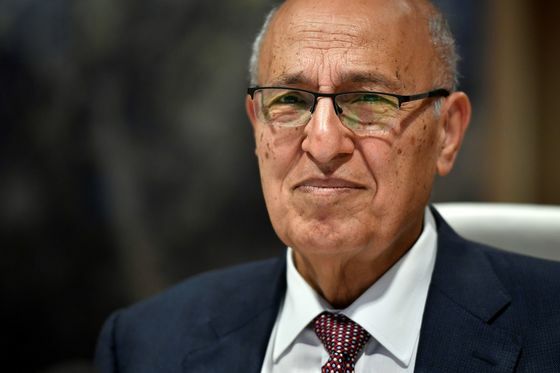 (Bloomberg) -- The Palestinian Authority won’t reject the Trump administration’s peace plan out of hand, but doesn’t expect it will be acceptable, President Mahmoud Abbas’s adviser Nabil Shaath said ahead of Israel’s national election. After the U.S. moved its embassy to Jerusalem from Tel Aviv and stopped funding the organization that serves Palestinian refugees, there appears to be little left on the table to talk about, Shaath said in an interview Monday in Jerusalem. Israeli Prime Minister Benjamin Netanyahu’s announcement over the weekend that if re-elected he would annex West Bank land the Palestinians seek for a state is yet another -- albeit unsurprising -- blow to Palestinian dreams, Shaath said.